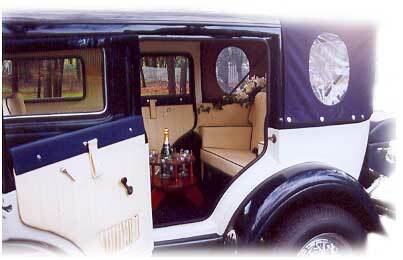 Having joined the fleet in 2004 our Vintage Bramwith landaulet has become one of our most favoured. This car has to be seen to be believed, and will turn heads wherever she goes. 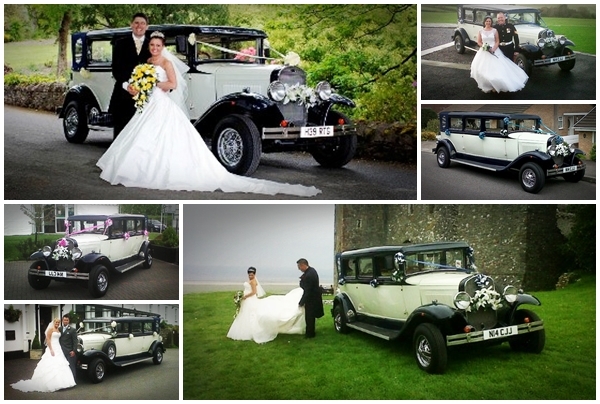 One of only a handful available to the UK this Vintage Wedding Limousine is the ultimate, and she can act as a car for bride and groom, or as a full blown wedding limo able to carry 8 people in comfort. The photograph above shows in better detail how the car looks with the landaulet hood in place. Again this vehicle has matching seat piping and is always dressed in a stunning array of flowers and ribbons. 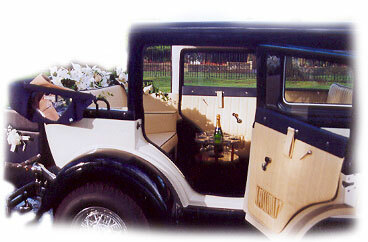 Image above shows the view from inside the car with the landaulet hood down. 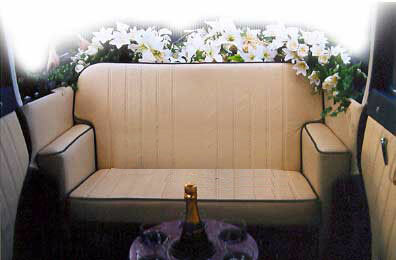 Imagine sitting down in the back of this vehicle open to the sun, but hidden from the breeze, sipping bubbly. What better way to enjoy your first drink as Mister and Missus. 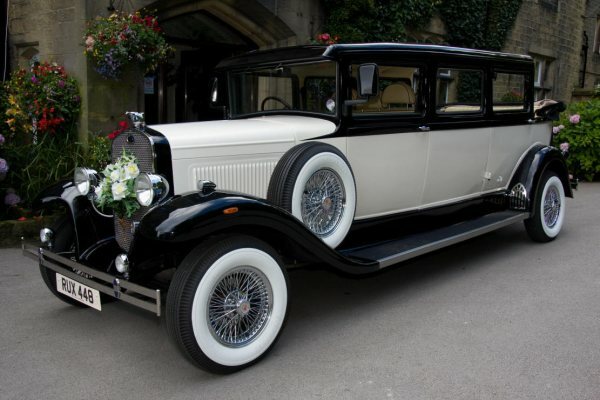 With the landaulet hood down, the car comes into its own. You can see how the sun streams into the vehicle, and imagine yourselves stood up for photographs that will be the envy of everyone.